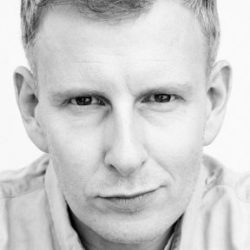 Patrick Kielty is an award winning comedian and critically acclaimed actor, with years of experience in hosting numerous radio and TV shows. He is one of Ireland’s most successful comedians, and has established himself as a household name in Ireland as well as the UK. Patrick’s amusing personality makes him the ideal after dinner speaker and entertainer for any event. Patrick Kielty began his stand up career as the fearless host of Belfast’s Empire Comedy Club in pre-ceasefire Northern Ireland. Two RTS Awards later, he became a national star through his Channel 4 show “Last Chance Lottery” before going on to host his own chat shows “Patrick Kielty Almost Live” and “Fame Academy” for the BBC1. In 2006, Patrick returned to stand up comedy with a sell-out UK tour and a chart topping DVD, “Patrick Kielty Live,” which went straight to number one on iTunes downloads. More recently, he has featured on his own ‘One Night Stand’ for Dave Channel, and topped the bill for a second time on “Live at The Apollo”. He has also hosted the Channel 4 series “Stand Up for the Week,” and currently fronts the “BBC New Comedy Award” on Radio 2, where he is a regular host.